Tayanau Nunez is an Advanced Practice Registered Nurse. She is a board-certified Nurse Practitioner, with specialty in Family Nurse Practitioner at the Georgia Behavioral Health Professionals Peachtree City office. Tayanau holds a Masters of Science degree from Chamberlain University. Prior to becoming a Nurse Practitioner, she worked as a Registered Nurse in psychiatric Inpatient and Outpatient settings, Acute care settings, Medical Surgical hospitals, and Hospice settings. She can provide care across all life spans. As a Nurse Practitioner, she has experience with Child/Adolescence/Adult clients in an outpatient setting and treats mental health diagnosis and help manages stable primary health conditions. Tayanau is a member of the American Psychiatric Association. 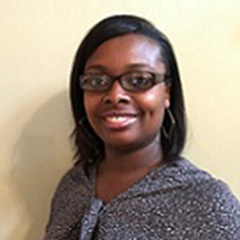 Tayanau Nunez enjoys providing care for children ages 5 years old to geriatrics. She works closely with her collaborating physician Dr. Nelson to provide excellent care for her patients.